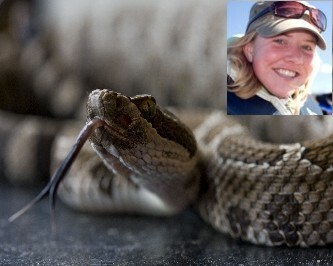 Emily worked on the western rattlesnake in the desert region of Osoyoos, British Columbia. She examined how development on the landscape affected the body condition, growth, and movements of the animal. Our partner on this project was Dr. Christine Bishop of Environment Canada along with Bellstar Resorts and the Desert Cultural Centre.